Luce is the perfect restaurant for Portland. It gives the appearance of casualness—the décor is a cross between a cafe and a fancy country kitchen—but serves up excellence you'd expect to find at any white-tablecloth establishment. 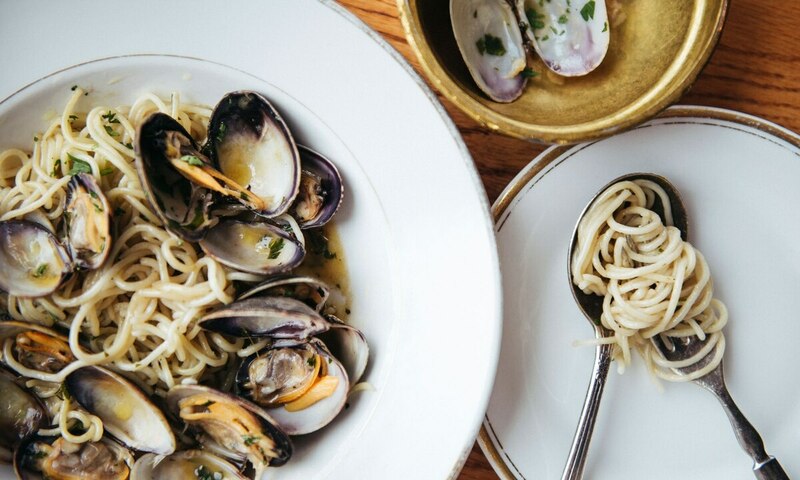 Opened by Navarre's John Taboda, the Italian fine-dining spot in the Buckman neighborhood offers a rotating menu of delightfully prepared greens, meats, fish and some of the best pasta to be had in the city. The antipastas are budget-friendly at $2 a pop, including a farro and Parmesan pie, akin to a sharp French quiche, and the constantly changing selection of meat and veggie polpettes. The baked trout ($20), which comes eyeballs and all, stuffed with breadcrumbs, lemon zest and a slew of herbs, arrived delicately soft on a recent visit. And a side of leeks ($7) prepared with Parmesan and butter was generally rich and creamy enough to hide the fact that you're eating your vegetables. But best of all were the fresh pastas cooked to al dente perfection, all available in half portions, which is the perfect excuse not to order one but sample several instead. Among the best: the garganelli with lamb, fennel seed and saffron ($13 half, $26 whole), light with a hint of richness from the meat and spice; it's a dish that can compete with any of the wonders of Portland dining. Pro tip: The place is open all afternoon. There's generally no wait then, and the restaurant is willing to prepare a simple cheese pasta for the youngest diners.